Find hotel near Voyager New Zealand Marit .. 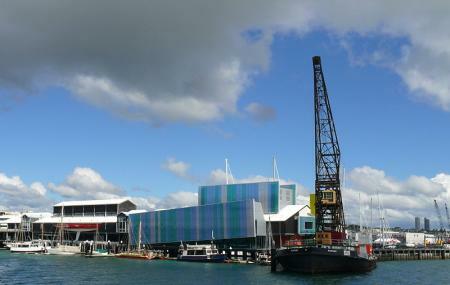 The Voyager New Zealand Maritime Museum has the largest marine collection in New Zealand. Spread over 7 galleries, visitors find out everything about New Zealand’s maritime, right from how the first Polynesian people made the migration to Aotearoa to the early European exploration and settlement of New Zealand to New Zealand’s modern-day yachting success. One can also experience Waitemata Harbour by sailing onboard a heritage vessel. Last entry at 4:00 pm. How popular is Voyager New Zealand Maritime Museum? People normally club together Rangitoto Island and Museum Of Transport And Technology while planning their visit to Voyager New Zealand Maritime Museum. Answered so many of my questions, like how did migrating people find land. How to read stars. 1520 was first circumnavigation. How Sir Peter Blake was constantly drumming up support. How disgustingly uneatable food was for first colonisers during trip. How using mercury instead of rollers allowed for faster light house blinking, which allowed for better identification of lighthouse. How the ports were developed. How Christchurch Sumner Beach had first volunteer rescue for stranded/sinking ships and saved 900 lives. Has 2 movies, one with a theatre 1h40min was really informative. You get to see winning boat 4 stories high and walk around it at each story. Kids section is really great at teaching about plastic pollution. Has 6 easy jig saw puzzles. Shop has old vertical Skill Ball (like vertical pin ball) machine which Fish & Chip shops had which were a blast to play. You can go on boat that will take you to Auckland Harbour Bridge and back for additional cost. Auckland residents are free entry :) Took me 5 days at 5 hours per day to read everything. A must see if in Auckland. Beautifully laid out history of New Zealand from how the early settlers arrived by canoes to the modern immigration and competitive sailing success. Very accessible on the downtown waterfront. Allow 3 hours at least to explore and more if you want the harbor boat tour. what a great informative museum. you can walk around here for hours and delve into everything about what happened then and now. really recommended. i loved it. Very interesting museum. Great range of exhibits. And it's great it's free for Auckland residents.